The frog painting that I was auctioning on eBay has a bidder. So I can mark it sold. 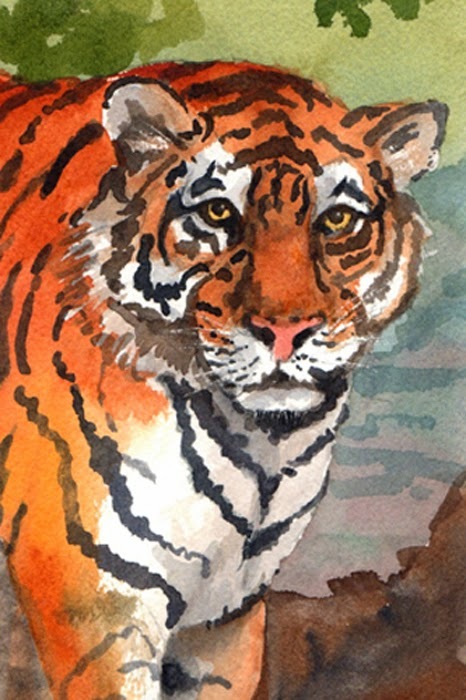 The next small painting that I will be posting is a tiger, painted in watercolor. It is a 4x6 mounted on a 5x7 mat. Check back on Monday and I will have a link to the auction. Thanks for reading.